One of the most subversive works in film history wears a disguise. It dresses up on Christmastime as sentimental pap, full of old cheer for the old days, sweet and safe as a Sunday sermon. All the while it teems with despair, death, greed, corruption, brutality, prejudice, suicide, and dreams endlessly deferred. The film is It’s A Wonderful Life and much like Mark Twain’s masterful Huckleberry Finn, it can be read as quaint family entertainment or a funny, poignant and bracing cultural critique that examines the struggle to be human in an unjust world. It’s an absolutely marvelous work of art. What makes it subversive? 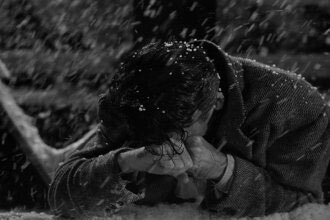 It’s A Wonderful Life grew out of certain American films from the 1930s that represented unfettered capitalism as a spiritually destructive force, at odds with the deepest principles of brotherhood and social justice. Made during the depression, these films portrayed the vast gulf between the rich and the poor, and the struggle of marginalized people to maintain dignity amid a dehumanizing culture. Frank Capra directed various masterpieces in this tradition (Mr. Smith Goes to Washington, Lady For a Day, Meet John Doe, etc.). 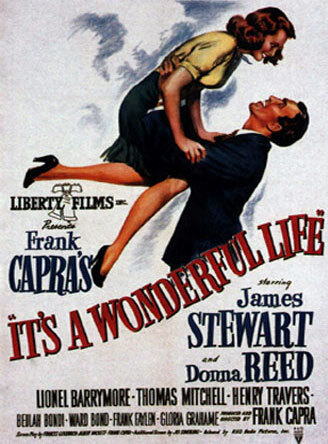 But It’s A Wonderful Life came later, after WWII, and this made its message even more challenging. Hadn’t we fought a war for democracy? Wasn’t everything just fine? Well, maybe. The studio released this film as a bundle of joy. You can see in its posters and trailers the emphasis on the glorious romance and the ceaseless joy of living. 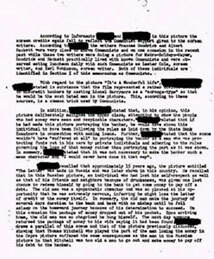 The shadows and tensions of the film were nowhere to be found in its promotion. Everything was wonderful, wonderful, wonderful. But the FBI thought otherwise. 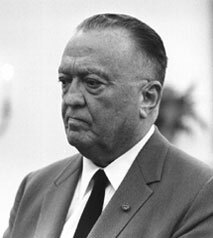 FBI Director J. Edgar Hoover investigated the film’s subversive and communistic impulses. 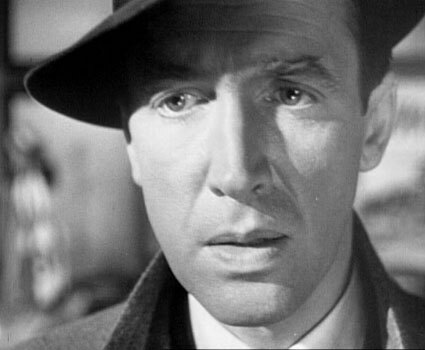 The damning portrayal of the capitalist Potter was considered suspicious; so too the film’s depiction of George Bailey with its triumph of the common man. Potter sees the people of the community in terms of class and ethnicity (he ridicules a lowly cab driver and calls the Italians “garlic eaters”). They’re merely “chumps,” objects ripe for financial exploitation. 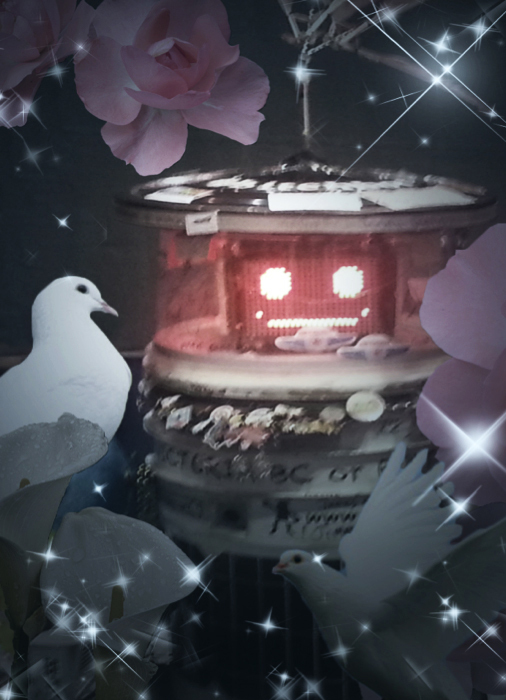 Bailey sees them as human souls. The FBI’s suspicions were right on the mark. 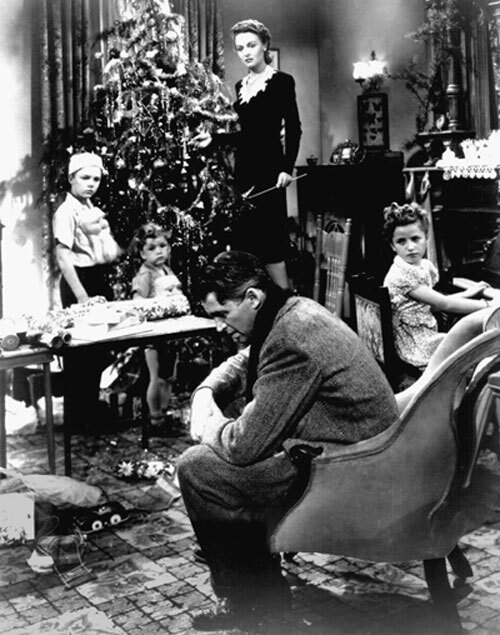 The radicalism of It’s A Wonderful Life springs from its humanity. As played with dizzy magnificence by Jimmy Stewart, Bailey possesses a riveting life force. We feel the power of his wanderlust, his burning desire to travel, to explore, to become anything he dares to be. But this same openness to the universe also translates into a heightened sensitivity toward the needs of those around him. He is trapped by his own heart. To follow the ambition of his ego is to break with his secret bond to the welfare of others. This he will not do. His actions take the shape of sacrifice. It’s not overdone – there’s no blood, no speeches, no one gets up on a cross – a price is paid, simply, quietly, continually, just below the surface of waking life. There are countless George Baileys around the world, isolated and anonymous, invisibly bending desire’s trajectory in daily deference to the life of a father, a friend, a child, a dog. It is a profoundly human experiment. It doesn’t make the magazines and it’s not on YouTube. 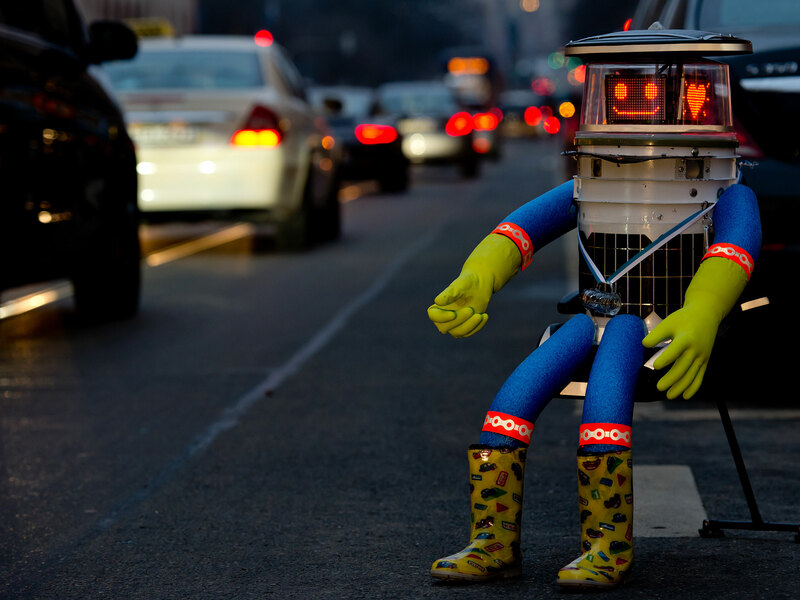 Such people invent their own value and follow their own inner guide. They live without praise. They are utterly subversive in the face of political and economic dictates. All the while, the unmet desire remains a wound that burns. Late in the film, George Bailey finds himself on a journey through the hallucinogenic night of a lost world stripped of human tenderness. Only then can he return to his own universe with eyes that can see. Suddenly the sacrifice is no longer sacrifice. The traumas no longer traumas. He walks anew through his front door with a revelation banks and business cannot possess. It is dead. It remains dead. And we have killed it. “Our patriotism is that of the man who loves a woman with open eyes. He is enchanted by her beauty, yet he sees her faults. So we, too, who know America, love her beauty, her richness, her great possibilities ; we love her mountains, her canyons, her forests, her Niagara, and her deserts—above all do we love the people that have produced her wealth, her artists who have created beauty, her great apostles who dream and work for liberty—but with the same passionate emotion we hate her superficiality, her cant, her corruption, her mad, unscrupulous worship at the alter of the Golden Calf. 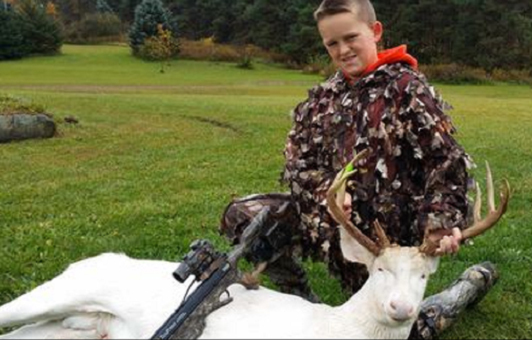 11-year-old Gavin Dingman was the talk of the hunting community with his impressive takedown of a rare 12-point albino buck, a specimen estimated to be found in only 1 of every 100,000 births. After 71 years in this place, social critic and chronicler George Carlin has moved on to the next thing. One small example of his fury and vision can be seen is his take on American education and opportunity in this excerpt from his Who Really Controls America. 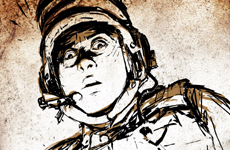 Haunting animation of one soldier’s story. Colby Buzzell is the soldier. The story is from his book My War: Killing Time in Iraq. Artwork by Christopher Koelle. 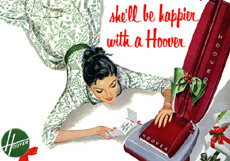 The Home Appliance is Your Friend. The authentic NASA recording between mission control and the first man on the moon. Discovered and enhanced by the technicians at the Evolution Control Committee. Kurt Vonnegut’s novel Slaugherhouse Five considers Tralfamadorians, time travel and the 1945 firebombing of Dresden, Germany, which killed tens of thousands of civilians. Vonnegut was there as a POW. 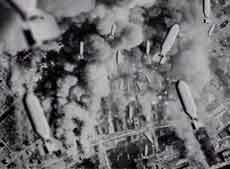 He saw the aftermath of the bombing, an episode that might be said to have altered his comic perspective. Hear him read an excerpt from the book below. Consider the plight of our earth. Isn’t it clear? Our children need great Christian superheroes. That’s where Bibleman comes in. He’s a lean, mean religious fighting machine and his sacred team will defeat the Evil “Wacky Protester.” Click here to see the exciting trailer! 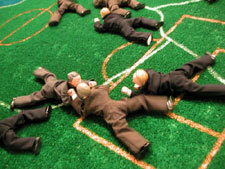 Not only that, you can purchase action figures here. 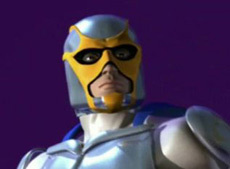 Thank God for Bibleman!